The U.S. healthcare industry is massively complex system of integrated patient care providers, health service organizations, insurance companies, pharmacology businesses, medical product suppliers and more. Navigating the diagnostic, reporting, and payment processes falls under the purview of medical billing and coding professionals. A diverse occupational field, medical billing and coding includes positions such as coding specialist, reimbursement manager, billing compliance specialist, medical coder and compliance auditor. In these roles, medical coding and billing professionals handle a variety of tasks, from calculating patient charges to preparing statements; from collecting patient diagnoses to submitting patient data to insurance carriers. The following pages provides an overview of the career training options for prospective medical billers or coders, including online options, curriculum, credentials and certifications, as well as an interview with a medical biller with several years of experience. The ever-changing health care landscape means that the industry needs qualified, educated personnel to work with physicians to ensure that each patient receives the necessary care and that physicians are compensated fairly. An online degree in medical billing and coding can help you move into this growing and diverse field. We’ve done the research on what job opportunities are available and the best programs for certain skills. Check out the top school with a medical billing and coding program below. From its main campus located 10 miles north of Seattle, Shoreline Community College in Washington serves more than 12,000 campus-based and distance learners. The Health Informatics & Information Management department offers a medical coding and reimbursement certificate for students seeking a flexible, industry-informed program. Before enrolling, all distance learners should speak with departmental administrators to create a schedule due to some classes not being offered each quarter. Depending on their academic background, degree seekers may also need to take a number of prerequisites before starting on the main body of coursework. Once they meet all initial requirements, students complete courses in areas of hospital and clinic records, basic ICD-10 coding, legal aspects of health care and medical reimbursement. In their final semester, they work in a health care setting to complete a medical coding practicum. Full-time learners finish in 2 years while part-time degree seekers need 3 years. SCC's program receives approval from the American Health Information Management Association and is recognized as a Comprehensive Medical Coding Program. Upon graduation, students can sit for the Certified Coding Specialist â€“ Physicians Office examination or the Certified Coding Associate credential. They are also eligible for the American Academy of Professional Coders' Certified Professional Coding exam. Residents of Washington pay $105.53 per credit while those living in other states pay $119.67. Non-U.S. citizens pay $282.95 per credit. Once enrolled, learners can take advantage of academic advising, career planning, disability services, tech support and institutional scholarships. With 4 campuses spread across the state and a distance learning program that serves students further afield, Minnesota State Community and Technical College serves approximately 9,000 students annually with a variety of associate degrees and diplomas. The online arm of the school provides a medical coding and insurance diploma for individuals seeking the skills and qualifications needed to work in a variety of medical settings. M State's program requires 50 credits and covers topics such as diagnosis and procedure coding, appointment schedule management, medical terminology and legal/ethical behavior in healthcare settings. Every distance learner at M State receives a laptop to help ensure they possess the proper technology for completing assignments. After finishing the program, graduates have gone on to roles in a variety of settings, such as insurance companies, governmental agencies, home health care settings, medical clinics, hospitals and long-term care facilities. They also possess the education needed to sit for national coding certification examinations. Despite being a larger school, M State maintains small class sizes and ensures degree seekers â€“ many of whom work while enrolled â€“ have the flexibility required to succeed. Regardless of whether students live in Minnesota or another state, each pays the same rate of $160.70 per credit. The school also provides a number of scholarships for students demonstrating merit and/or academic need. While enrolled, students receive support in the form of career services, resume preparation, academic advising and technical assistance. They can also access parts of the library's digital collection. West Georgia Technical College, which is accredited by the Southern Association of Colleges and Schools Commission on Colleges, provides students with the opportunity to earn an undergraduate certificate in medical coding, which can be used to enter the medical field or be applied toward future degrees. You will complete 24 credit hours in coursework such as Medical Terminology for Allied Health Sciences, Human Diseases, Medical Procedural Billing, and Structure and Function of the Human Body. A number of resources are available to support you while you complete your academic journey. Student Success Services connects learners to tutoring via the platform Upswing. There are tutorials and an online Help Desk to assist in navigating your virtual classroom, which is implemented on the web platform Blackboard Learn. Additionally, Mentor Connection links peers together to create a safe and welcoming campus community. Toward the end of your studies, you can utilize Career Services to explore open positions or gain interview skills. Many graduates decide to pursue their bachelor's degree, while others enter positions of medical coding for nurses and physicians. Although the school's online programs take part in the National Council for State Authorization Reciprocity Agreements, you can speak with an adviser regarding transfer credits and degree recognition in your location of residency. Interested students need to possess a high school diploma or GED. Prior to enrollment, they will either take an Accuplacer placement test or submit ACT or SAT scores. There are a number of school-funded scholarship opportunities as well as state-sponsored grants to help cut down on costs. Each year the American Academy of Professional Coders conducts a healthcare business salary survey, which examines earnings by experience, educational attainment and qualifications. There is a major takeaway for prospective medical billers and coders: credentials and certifications influence earning power. The 2014 survey revealed experience, credentials and area of practice all impact the earnings of medical billing and coding specialists. At the credential level, the core coding credentials earned an average salary of approximately $54,600 in 2014. The best salaries were for individuals in management and auditing positions. To the right is a list of 2014 salaries by credential area. Learn more details about credentials below. The training programs of medical billing and coding professionals have experienced a significant transition during the past decade, growing into some of the most popular distance education programs in the country. A professional, practice-based form of training, these educational programs are designed to equip students with industry-specific skills required for entry-level positions in a variety of healthcare settings. Because there is no singular educational requirement to become a medical biller or medical coder, prospective professionals in the field have a selection of training avenues to pursue. Medical billing and coding educational programs fall into three general formats: certificate, diploma and associate degrees. There are undergraduate (bachelor’s) and graduate (master’s) degrees available in the field, but they generally fall under a larger umbrella of health services, health informatics or related fields. All three of the common types (diplomas, certificates, associate degrees) can be completed entirely online, providing a level of flexibility to working professionals. Certificate: Designed to be completed in as little as four months, but may require nine to 12 months to graduate. Diploma: Designed to be completed in approximately one year of study. ICD-9 Coding: The standard diagnostic coding system of the U.S. healthcare system, ICD-9 was replaced by ICD-10 on October 1, 2015. This list of 6-character codes is used to describe medical diagnoses and provides a streamlined method for reporting insurance billing and clinical research. Current Procedural Terminology (CPT): Managed by the American Medical Association, the Current Procedural Terminology coding system is a list of codes that creates a uniform method to report and describe diagnostic, medical, surgical, radiological and laboratory services and procedures. Healthcare Common Procedure Coding System (HCPCS): HCPCS is a collection of codes that describe medical products, services and supplies that are used in the process of handling medical billing and health insurance claims by Medicare and other insurance companies. Online certificate programs self-paced, allowing students to study and complete their coursework on their own schedule and time. Depending on the program, certificates may be completed in as little as four months, but may require 12 or more months to finish. Certificate programs can be considered shortened versions of career diploma and associate degree programs. They are aimed at students seeking new career skill development or an opportunity to enhance their existing professional skills. Although the number of credits varies, the curriculum of certificate programs focuses on preparing graduates for entry-level positions in the industry in setting such as hospitals, physician’s offices and clinics. Students who complete an online certificate in medical billing and coding can traditionally apply credits from their program as electives towards a future online associate or bachelor’s degree program. Like the certificate, diploma programs in medical billing and coding can be completed entirely online. Diplomas exist between the short-term, career-focused certificate and the longer, more comprehensive associate degree programs. The objective of diploma programs is to provide students with a thorough education that prepares them for an entry-level position as a medical coder in a variety of healthcare settings such as a hospital or physician’s office. Unlike the certificate, diploma programs generally require at least 12 months of study to complete and offer a better-rounded curriculum. The associate degree is the longest, most comprehensive educational option available to prospective medical billers or medical coders. The naming convention varies by college or program, with some granting an Associate of Science and others issuing an Associate of Applied Science. The titles vary as well, ranging from Associate of Science in Insurance Billing and Coding to Associate of Applied Science in Medical Billing and Coding. These programs offer students the opportunity to complete their professional training through an online, self-paced format. Associate programs are designed to be completed in approximately 24 months of study, requiring between 60 and 64 credit hours to graduate. Curriculum is divided between general education classes (e.g. humanities, mathematics, English, social sciences) and required coding and billing courses. Example topics of study include diagnosis coding, procedure coding, pathophysiology, pharmacology, coding ethics, medical terminology and insurance claims processing. Like the diploma, some colleges may require students to complete a research project or internship to develop real-world, applicable skills. The goals of associate degree programs are two-fold: 1) to prepare graduates for entry-level billing and coding positions and 2) set the foundation for a transition to bachelor’s degree programs. The American Health Information Management Association maintains a list of approved certificate programs, while the Commission on Accreditation for Health Informatics and Information Management Education enforces accreditation of associate and bachelor’s degree programs in the field. Accreditation indicates the training program adheres to industry and educational standards and, in turn, its overall quality. Additionally, some certifications may require students to complete an AHIMA or CAHIIM-approved program of study to be eligible for the examination. In general, each certificate, diploma and associate program qualifies students to sit for a range of credential and certification examinations. However, that is not always the case. Students should review both the curriculum and program standards to ensure their target educational program does allow them to sit for professional credential examinations. Because of their highly specific nature, both medical billing and medical billing require an additional level of specialized training. The American Academy of Professional Coders (AAPC) is the leading organization for credentials in the field, serving as the national standard bearer for professional credentials in both fields. 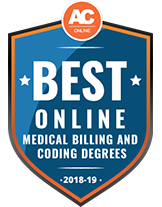 The American Health Information Management Association (AHIMA) also offers several certification options for graduates of online medical billing and coding programs. Earning medical coding credentials demonstrates the candidate’s expert knowledge of the coding industry, spanning coding assignments and application of ICD-9 and ICD-10. For the medical biller, professional credentials confirm and support a candidate’s knowledge of the healthcare business and the particular nuances of medical billing. Certified Professional Coder (CPC) The national standard bearer for coding professionals, the CPC credential is currently held by approximately 99,000 individuals in the field. Certified Outpatient Coding (COC) Formerly known as CPC-H, the COC credential is for coding professionals working in outpatient facilities and departments. Certified Inpatient Coder (CIC) Designed for individuals working in inpatient hospitals and facilities, the CIC is the only credential available in that space. Certified Risk Adjustment Coder (CRC) The CRC credential not only demonstrate a candidate’s knowledge of coding, but also their expertise working with risk adjustment models (e.g., HHR, CDPS and HCC). Certified Professional Coder-Payer (CPC-P) The CPC-P credential is designed for individuals working in payer environments, such as billing services, claims administration, provider relations and auditing. Other types of AAPC coding credentials include the Certified Professional Coding Professional (CPC-I), Certified Professional Compliance Officer (CPCO), Certified Professional Medical Auditor (CPMA) and Certified Physician Practice Manager (CPPM). Certified Coding Association (CCA) Launched in 2002, the CCA designation is one of three coding credentials recognized and accredited by the National Commission for Certifying Agencies (NCCA). The CCA demonstrates a candidate’s experience and expertise in coding practices across healthcare settings. Certified Coding Specialist (CCS) The CCS credential tests a candidate’s knowledge of managing and organizing medical data in hospital settings, the ICD-9-CM and CPT coding systems and medical terminology. Certified Coding Specialist-Physician-Based (CCS-P) The CCS-P is designed for coding professionals working in physician-based settings (e.g., group practices, specialty clinics) who possess an advanced understanding of the CPT coding system. Kristin N. of Santa Fe, New Mexico is a stay-at-home mother of two children who has recently enrolled in an online certificate program with a desire to become a Certified Professional Coder. 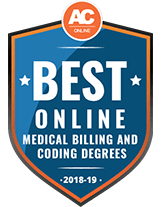 AffordableCollegesOnline recently interviewed her about her professional background, why she chose medical billing and coding and her advice for preparing to undertake a certification program online. Why did you choose to pursue a career in medical coding? Prior to having children, I was an elementary school teacher for nine years. My husband and I have had multiple discussions about me transitioning back into the workforce. I discovered I no longer wanted to teach, but wanted a flexible career opportunity so I could continue to focus on raising my children. After much research, I discovered medical coding. Why did you choose an online certificate program? Again, the flexibility was the primary factor. Being able to study online and complete classes on my time is a big bonus. The second factor was cost. I didn’t want to pay thousands and thousands of dollars for an associate or bachelor’s degree. I wanted a career-oriented training program. The third factor was time. My online program will be finished in seven months, which is manageable when you’re a full-time mother. What advice would you give to students thinking about going into the field? Well, I’m relatively new to the industry. But, I have two points of advice: I’d tell students to choose an accredited program that is recognized by professional organizations and I’d also recommend they research the coding job market in their area to make sure there are local career opportunities prior to starting a training program. What’s been the most challenging part of your program to-date? Everything! My background in education is in another galaxy than healthcare. Coding is completely foreign to me and learning about medical terminology can be extremely difficult. But, my instructors are very supportive and my husband has been wonderful arranging time for me to study without dealing with the kids. So, those are to two biggest challenges: my unfamiliarity with coding and the pressure of being both a mom and a student. Medical billing and coding professionals combine a wide variety of skills and knowledge of vital information about insurance processing, compliance regulation, patient’s rights and terminology. Finding the right online program can be challenging, considering the multitude of options at schools offering certificates, diplomas and associate degrees. Overwhelmed by choices? The search tool below can lead right to the schools that offer the programs and training at the level that matches your goals. Programs are sorted by degree level, accreditation, type of school and the cost of tuition.